A promising new development for the 20 to 30 per cent of Canadians suffering from chronic pain is on the horizon. Sunnybrook is now using ultrasound guided procedures to manage this condition, making it the only academic health centre in Canada and one of only two in North America to do so. 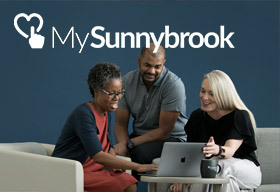 As a leader in innovative care experiences, Sunnybrook’s use of this effective, but uncommon, new tool is showing substantial benefits on many fronts – patients’ quality of life, cost savings, and lowered wait times. Sunnybrook’s pain management clinic sees patients from all over Ontario, which can result in substantial wait times. However, the use of this innovative measure in managing pain reduces wait times considerably by cutting down hospital visits. Although ultrasound guided therapy is quite new in chronic pain management, it has shown significant benefit when compared to fluoroscopy (X-ray), which is the more traditional imaging method to guide injections. X-ray requires a separate radiation-proof room, expensive equipment and additional staff. Therefore, if a patient has to undergo several procedures, and X-ray is the only option, it adds substantial cost to the health care system and prolongs wait times. Fluoroscopy does not allow physicians to see the nerve, which makes them rely mainly on bone anatomy. “Ultrasound is radiation-free and allows us to see the nerve and avoid damage of structures such as the nerve itself, blood vessels and internal organs, which I believe makes it is absolutely superior to fluoroscopy,” says Dr. Gofeld, who is also an assistant professor in the Department of Anaesthesia at University of Toronto. In cases where surrounding tissues must be visible in order to safely inject the needle, such as procedures performed on the neck, ultrasound guidance has proven to be exceptional as X-ray can not provide the same level of confidence. CT or MRI can also be used for that purpose, but both methods tend to be expensive and untimely; ultrasound is described by Dr. Gofeld as being a faster and much more reliable process. Ultrasound guided procedures are becoming a widely accepted tool for regional anesthesia, but for pain management it is extremely new, and virtually unheard of despite its advantages. Related citations in medical literature are minimal when compared to those related to ultrasound anesthesia. Because of this, Dr. Gofeld explains that there is huge potential to begin a new chapter in pain research. 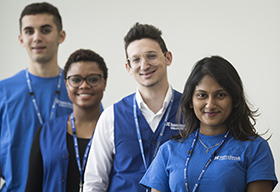 Sunnybrook is transforming health care through the dedication of its more than 10,000 staff and volunteers. 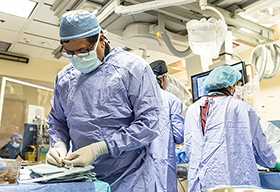 An internationally recognized leader in research and education and an affiliation with the University of Toronto distinguishes Sunnybrook as one of Canada’s premier academic health sciences centres. 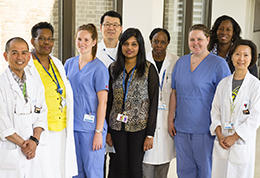 Sunnybrook specializes in caring for critically-ill newborns, adults and the elderly, treating and preventing cancer, cardiovascular disease, orthopaedic and arthritic conditions and traumatic injuries.